Jeremy Clarkson has said he expects to be “sacked” by the BBC. The Top Gear host was speaking at a charity event in London, where he was auctioning what he described as his “last lap” on the show. “I don’t know when I did my last ever lap of the track before the BBC sack me,” he said. An investigation into Jeremy Clarkson’s current suspension following a “fracas” with a producer is still ongoing and the final report is due next week. The report over the incident will be handed to BBC director general Tony Hall, who will consider the evidence and “set out any further steps”. The Roundhouse Gala on March 19 saw Jeremy Clarkson offer to drive someone round the Top Gear track as part of an experience offered during the auction. “I didn’t foresee my sacking, but I would like to do one last lap,” he said. “I’ll go down to Surrey and I’ll do one last lap of that track before the [BBC] sack me. Jeremy Clarkson also said that Top Gear had been “a great show” but it had been ruined by the corporation. The BBC said it would “not be offering further commentary” on any issues involving Jack Clarkson until the current investigation was concluded. Jeremy Clarkson was suspended from Top Gear on March 10, following an alleged altercation with producer Oisin Tymon. 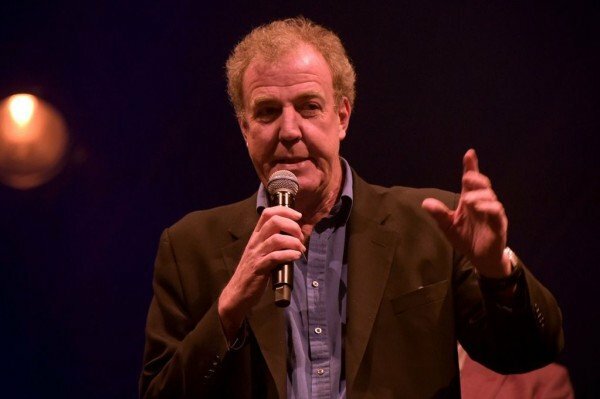 A petition of almost one million signatures calling for Jeremy Clarkson’s reinstatement was delivered to New Broadcasting House on March 20. The petition was delivered by a man dressed as “The Stig” who arrived at the BBC’s London headquarters in a tank bearing the words “Bring Back Clarkson”. All remaining shows in the current To Gear series were pulled following the incident.